Suburban Detroit dealer Bill Perkins says he expects to sell at least the same number of vehicles this year as he did in 2008. Sales and prices of used vehicles are expected to inch upward this year, especially in the second half. But remarketing profits will languish, industry analysts predict. Traditionally, used-vehicle sales rise when new-vehicle sales dip and vice versa, says Art Spinella, president of CNW Marketing Research in Bandon, Ore. But 2008 — which included volatile gasoline prices, a home mortgage meltdown, a frozen credit market and an auto industry bailout — was hardly a typical year, Spinella notes. Used-vehicle sales plummeted along with new-vehicle sales last year. 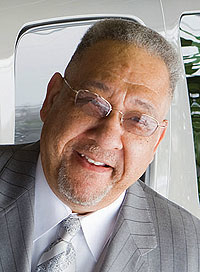 Spinella estimates U.S. consumers bought about 36.7 million used cars and trucks in 2008, down 11.2 percent from 2007. This year, he forecasts used-vehicle sales will rebound to about 38.5 million units, a 4.9 percent increase. Tom Kontos, executive vice president of customer strategies and analytics at the auction company ADESA Inc., predicts that franchised and used-car dealers will sell about 26 million used vehicles this year, up from about 25 million in 2008. "We will continue to see weak retail sales of used vehicles in the first half of 2009," Kontos told Automotive News. "But I expect a stronger second half, so for the year as a whole, we will be modestly up." Paul Taylor, chief economist at the National Automobile Dealers Association, says he expects the used-vehicle market to improve each quarter this year. But he predicts franchised dealers' profits from used-vehicle sales will remain lackluster. Last September, Taylor says, the average franchised dealer made $1,679 in gross profit from the retail sale of each used vehicle, down 6.4 percent from the year-ago month. He did not have more recent monthly data. Tom Webb, chief economist at Manheim, the nation's largest vehicle auction company, predicts a leveling off this year of last year's steep declines in wholesale prices of used vehicles. "The correction has been very big, and there is a limit to how far prices can go down," Webb says. "We saw a little bit of that in December. They were going down, but at a much slower rate." Dealer Bill Perkins, who owns two Chevrolet dealerships and a Buick-Pontiac-GMC store in suburban Detroit, sold about 1,600 used cars and trucks last year. He says he expects to sell at least that many in 2009 — at a profit. Perkins cites the 15 lenders he can call on to finance used-vehicle customers. "The markets I operate in have always been fairly tough," Perkins says. "We try to give the finance company equity in the deal." Michael O'Brien, who owns two Lexus dealerships in the Seattle area, says sales of certified used cars and trucks will be a critical contributor to Lexus dealers' profitability this year. "The certified pre-owned setup Lexus has is a phenomenal game plan," says O'Brien, who is chairman of the Lexus National Dealer Advisory Council. "It's a huge profit center." In 2008, sales of certified Lexus cars and trucks were up 4.3 percent from 2007. Analyst Spinella says he expects used-vehicle sales to rise this year because consumers must replace a large number of older cars and trucks. He also says the credit freeze is showing signs of thawing. Spinella predicts many consumers who straddle the fence between buying a new vehicle and a used one will opt for the latter. Clive Kinross, president of Openlane Inc., an online vehicle auction company in suburban San Francisco, agrees that used-vehicle sales will creep upward this year. But he expects used cars and trucks to sell at "lower values relative to historic values." Dale Pollak is even less optimistic. Pollak, a former dealer, owns vAuto Inc., a Chicago company that sells dealerships software for managing used-vehicle inventory. Pollak says depressed prices late last year discouraged businesses from selling used vehicles from their fleets. He expects many of those owners to sell the vehicles in the first quarter of this year. When those cars and trucks flood the market, Pollak predicts, prices will fall even more. Says Pollak: "I believe this will result in the most extreme period of used-vehicle devaluation we've ever encountered."